So what has everyone been up to throughout the years? 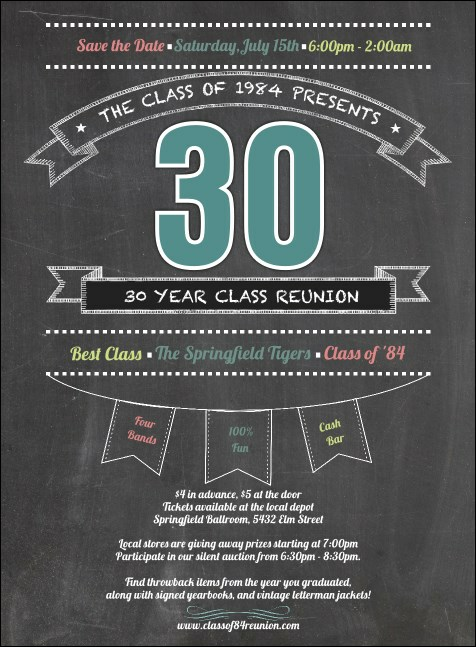 Find out when you send the Class Reunion Invitation before your big event. Make sure everyone is up to date when you fill in twenty-three lines of event info into the easy template below. The bright lettering stands out, just like those fun yearbook pictures! Invite prom queens, geeks, and jocks with the right invitation from TicketPrinting.com.